Let us make your life easier and help you save money with these brilliant home repair hacks. Imagine not having to hire someone to repair every small thing that breaks in your house. You could save a couple of hundreds, sometimes even thousands of Rands. The good news is, we can help you get the work done yourself. Let's begin. - There's nothing more annoying than a squeaky door. So if you don't have a door spray lubricant, don't fret. All you need is cooking spray. Just spray it on the hinges and you won't have to deal with a squeaky door anymore. 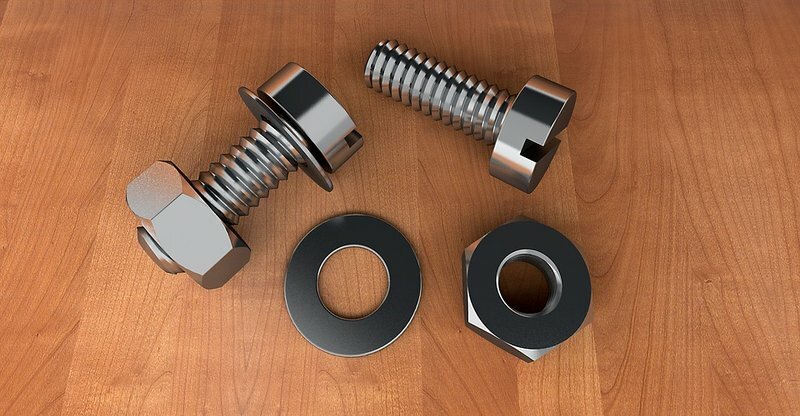 - Screws tend to become loose over time, but did you know that you can prevent your screws from coming loose by just applying nail polish? Remember to use clear nail polish so that it looks neat. - If you don't have enough money to buy paint and you need to fill in nail holes, all you need is crayons or chalk to do the trick, but this of course is a temporary fix. By the way, you can also patch nail holes with a bar of soap. Just rub a bar over the hole in a counter-clockwise circular motion over the hole. - For a clogged drain, simply pour a mixture of baking soda, vinegar and hot water down the drain to unblock it. - Accidents do happen and you can sometimes spill something on your carpet. Don't panic. You can use baking soda and vinegar to get the stain off. Pour vinegar on a pile of baking soda and wait for bubbles to form. Wait a few more minutes for it to absorb the stain, then wipe and vacuum your carpet. - Is the grout between your tiles making your house look dirty? You don't really have to hire a professional to steam clean it. Save money by simply using toilet bowl cleaner and a brush (toothbrush) to clean the grout. Pour the toilet bowl cleaner between the tiles and let it soak for 15 minutes, then brush it off and wipe using a wet cloth. For other tricks and hacks, check out the video below. Do you know any other home repair tricks? Share with us in the comment section below.